Some (free) Groovy Glove Patterns and a Tutorial! Have you ever knit a pair of gloves? I just started knitting gloves in the past couple of years. I’m only on my second pair right now but they are a fun knitting challenge. 😉 Some new techniques to learn too. The beautiful gloves shown above are all part of a new free ebook from Interweave. Looks like a great collection! I’d like to make those purple ones in the bottom row. I also use this glove tutorial at Very Pink. The step by step instructions in the video that you can start and stop as you knit along with Stacy, is SO helpful. Some other great knitting tutorials and resources over at Very Pink too. Although I haven’t posted any crochet projects recently, I do ♥ to crochet too. For a long while, I didn’t knit at all, only crochet. My switch (for the most part) to knitting was due in large part to the limited number of crochet patterns I could find, that I really liked. 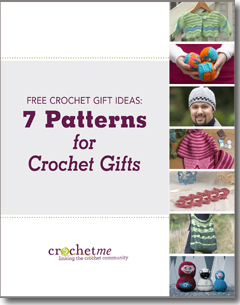 I recently received this pattern collection, courtesy of Interweave. It’s easy to get your own free copy and NO SPAM or excessive emails in your inbox. I’ve been getting newsletters from Interweave for a long time and appreciate that very much. Hope you enjoy these patterns too and do share what you are currently making, if you are a crafter. I ♥ to hear about projects of all types, in progress or completed! 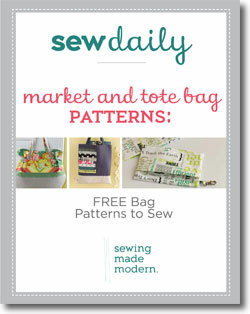 Free Market and Tote Bag Patterns! I got an email from Interweave recently that included a free download for this new sewing ebook. The bags all look great! And I know from past experience that their eBooks are well done. Easy to get a copy too. If you like to sew and are in need of a new market bag or tote (or want to make one for a gift) don’t miss this free offer! On the topic of sewing, I still haven’t finished the PJ’s I blogged about a while back, 😦 but hope to have them finished this week for sure. I wish I could cut out sleep LOL; I have cut back to about 6 hours a night though. Seems to be enough. There’s NEVER enough time in the day. Can you relate? What are you making right now? Do share. I love to hear about all kinds of projects. If you’ve ever wondered how to pick the best type of needle for a particular project, including: material they are made from, circular or straight etc…this is a guide you’ll want to have. 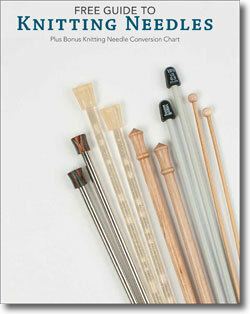 Even though I’ve been knitting for a long time, I still picked up some good tips reading through this document. Great illustrations too. Speaking of knitting, I haven’t been doing much with the very hot weather here in BC for the past couple of weeks. But I did get some other projects completed, when I could find the energy. 😉 More about those soon. Hope you had a wonderful July. I looked it over and it seems to be very well explained. I already knit socks and love it! It can be a bit daunting the first time around but what fun when you learn to turn the heel and after that, it’s piece of cake! 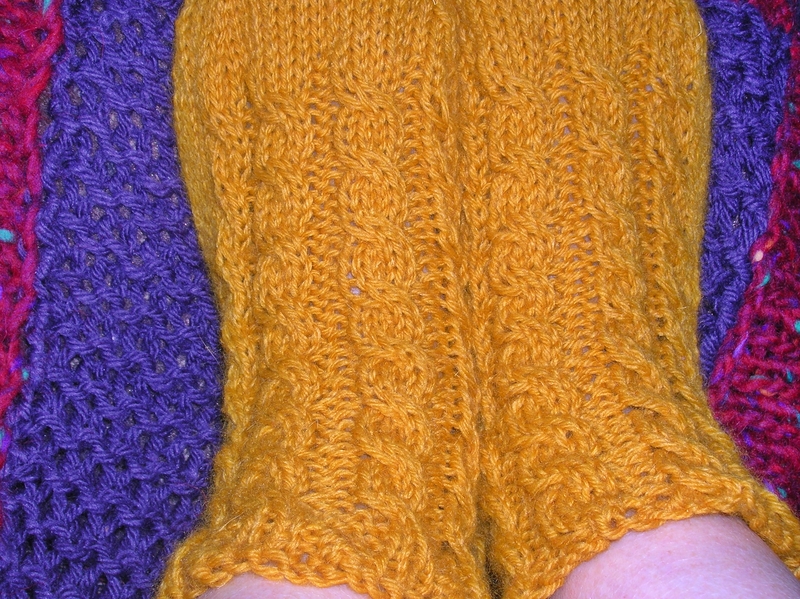 And there’s nothing nicer to wear on your footsies than handmade socks. A great gift idea too, so special. 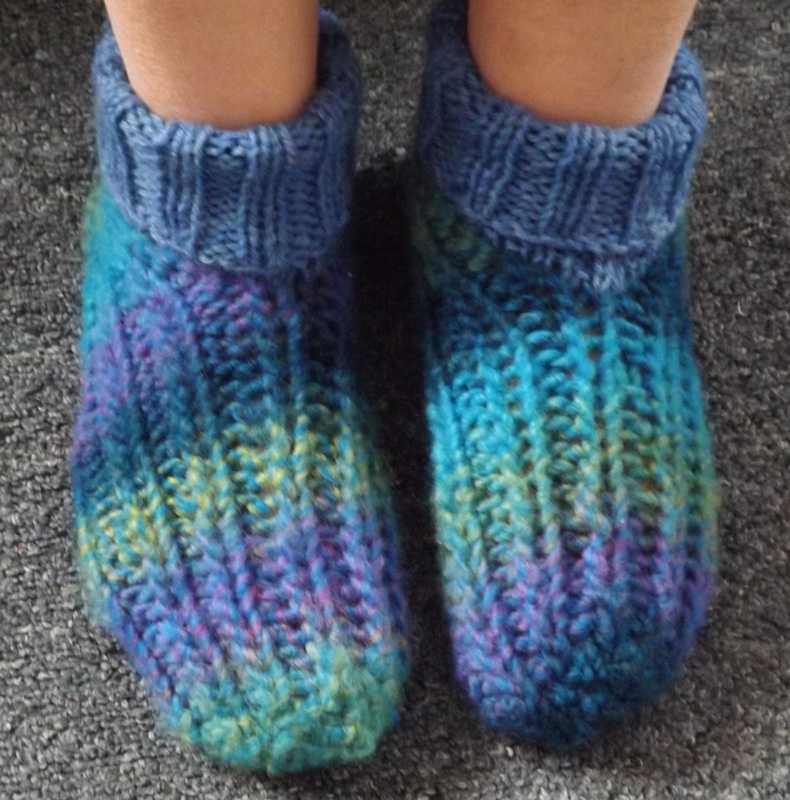 PSS: The socks in the photo are a pair that I made, not from this tutorial. 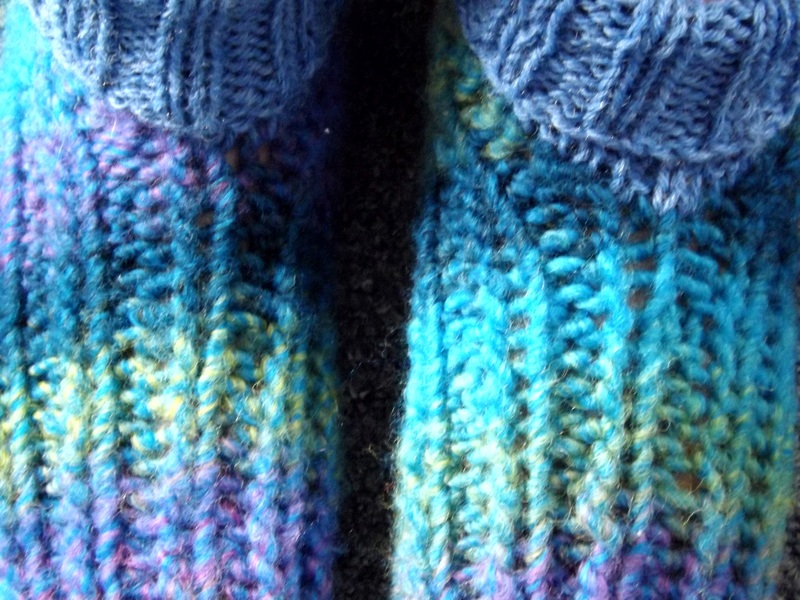 PSSS: If you already are an experienced sock knitter, click through to check out this gorgeous sock pattern from Willow Yarns. Wow, I don’t know if I’m up for that much of a challenge, but I sure like how these look!